When you can’t decide between all your options, do them all. 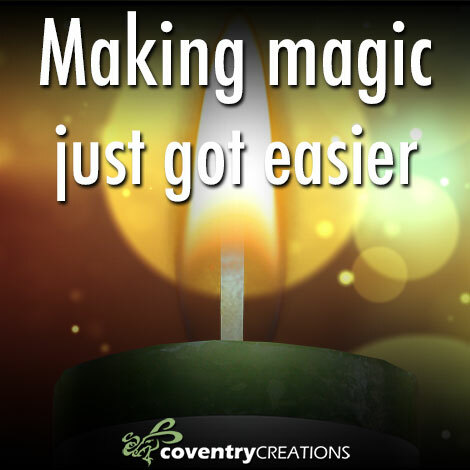 That is why we put all Coventry pillar candles on sale this month. Making your magic happen just got more affordable. Stock up on your favorite Coventry candles and get your mojo on. The year is brand new and there are so many possibilities waiting for you. Whether you are going to do some spell work or meditate for some clarity, we have a candle for that. Visit our website to browse our unique products, read our blogs and more. Make sure to check out our Witches Union page. It celebrates the powerful witch in you. We’ve got products, contests and a Spell Caster Club Facebook group https://www.facebook.com/groups/WitchesUnionSCC. Be part of something special, our witchy community, because you are special.